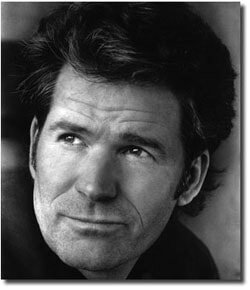 Andre Dubus III is the author of The Cage Keeper and Other Stories, Bluesman, and the New York Times bestsellers, House of Sand and Fog, The Garden of Last Days (soon to be a major motion picture) and his memoir, Townie, a #4 New York Times bestseller and a New York Times Editors Choice. His work has been included in The Best American Essays and The Best Spiritual Writing anthologies, and his novel, House of Sand and Fog was a finalist for the National Book Award, a #1 New York Times Bestseller, and was made into an Academy Award-nominated film starring Ben Kingsley and Jennifer Connelly. His novella collection, Dirty Love, was published in the fall of 2013 and was listed as a “Notable Book” by The Washington Post and The New York Times, and was named a New York Times Editors’ Choice”, and a Kirkus “Starred Best Book of 2013”. ​His new novel, Gone So Long, published in October 2018, has received starred reviews from Publisher’s Weekly and Library Journal and has been named on many “Best Books” lists, including selection for The Boston Globe’s “Twenty Best Books of 2018” and “The Best Books of 2018”, “Top 100”, Amazon. ​Mr. Dubus has been awarded a Guggenheim Fellowship, The National Magazine Award for Fiction, Two Pushcart Prizes, and an American Academy of Arts and Letters Award in Literature. His books are published in over twenty-five languages, and he teaches full-time at the University of Massachusetts Lowell. He lives in Massachusetts with his wife, Fontaine, a modern dancer, and their three children.